Whisk may be small, but it adds even more vitality to West Main. 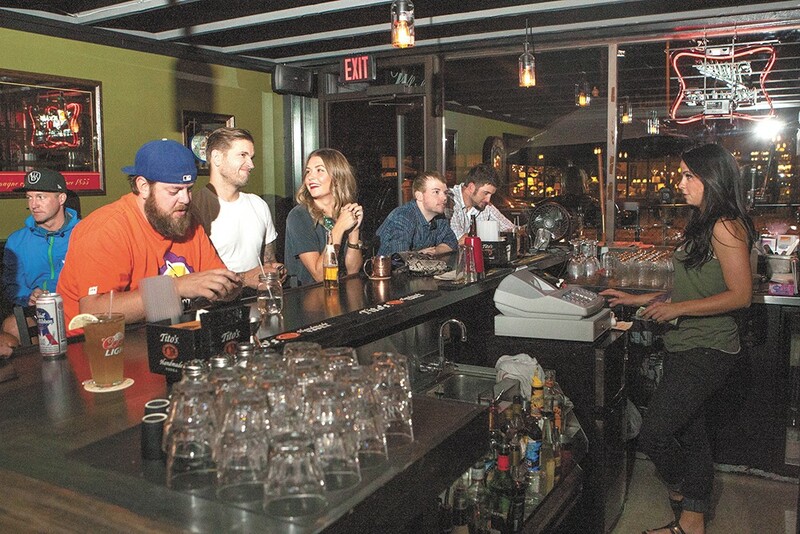 If you order pizza at downtown's newest bar, Whisk, your mouth might recognize it. The spongy-crust, juicy slices are the same as the pies served at Pacific Avenue Pizza in Browne's Addition, whose owner, Darin Talotti, opened Whisk last month. "I wanted to do a more laid-back downtown bar because a lot of them are really loud," says Talotti. Which explains the black walls with minimal décor, one television, petite patio facing Main Avenue and tiny indoor space. The fact that the bar used to be Merlyn's storage room explains the size. Talotti says he's a comic-book guy who spends a lot of time at Merlyn's, so it made sense to open there. The bar's second entrance, a screen door, leads into Merlyn's, so those like Talotti are just a step away from legions of comic books and all things nerdy. The former-storage-closet situation makes one wonder: where are the pizzas made? Answer: At Red Lion, across the street on the corner of Division and Main. Talotti's brother Tony owns the pub and barbecue restaurant, so Talotti cooks up his pies in the kitchen and walks them over to Whisk. The full pizza menu features more than a dozen varieties, some also found at Pacific Avenue, like margherita and barbecue chicken, and some not, like spinach artichoke pizza, taco pizza, and sweet chili pizza topped with chicken, chili sauce, red peppers and pineapple (slice, $3; personal pizza, $6-$8; full, $12-$15). The name of the bar comes from Talotti's fondness for whiskey. He and his friend Zack Muller, his partner in opening the bar, always refer to whiskey in shortened lingo, so you'll find the back bar stacked with about 35 different kinds of "whisk." On the drink menu, a few traditional whiskey drinks, like a Sazerac and Gentleman's Manhattan, get cozy with a vodka Spiked Palmer, a Classic Mojito and the New Fashioned.